Will hybrid's real-world mileage vary? New design is better, but by how much? While Toyota is generally the hybrid king, the Highlander Hybrid's V-6/electric duo hasn't always returned big fuel economy numbers for us in real-world use. A careful driver might come closer to the EPA's estimates. 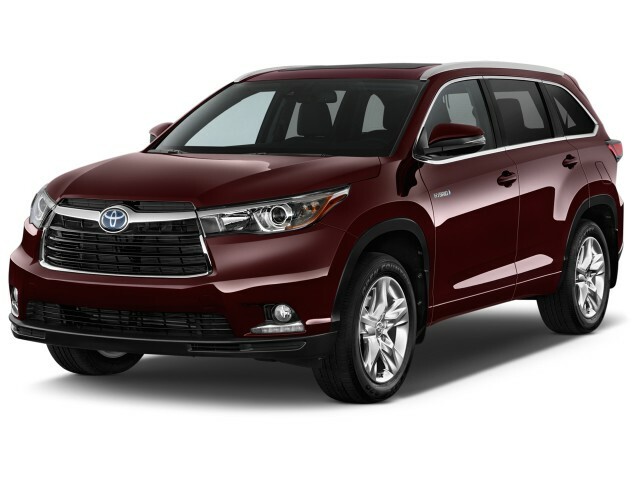 The 2015 Toyota Highlander offers a versatile and stylish alternative to the minivan, with available all-wheel drive and a thoughtfully designed interior. The Toyota Highlander is one of the better three-row crossover SUVs on the market. Redesigned for 2014, it now looks more rugged than in previous editions--but it remains a car-based derivative of the family of vehicles that includes the Camry, Avalon, and Venza. The Highlander is a more civil alternative to the Toyota 4Runner and a roomier option for those who find the RAV4 too small or need an extra row of seating. The Highlander continues to offer a very fuel-efficient hybrid model, as well as a base four-cylinder and optional V-6 in mainstream models. For its third take, the big utility vehicle adopts a new look that owes some of its cues to a slew of competitive vehicles that occupy the grey area between crossovers and SUVs. We see some Dodge Durango and BMW X5 in the side view--and oddly enough, lots of Mitsubishi in the maw-like grille and the exaggerations around its wheel wells and at the sills. The cabin skips that ambiguity--it's all car, and it's directly inspired by the cockpit in the current RAV4. There's some Teutonic-themed dash action, and a pleasing jumble of lines and textures. The Highlander's powertrains are carried over from the previous generation. The 2.7-liter four-cylinder in base models is the same engine found in the smaller RAV4. Coupled to a six-speed automatic and offered only with front-wheel drive, the engine generates in 185 horsepower and acceptable acceleration, but gets strained easily past legal highway speeds and loads of more than two passengers. A 270-hp V-6 can be paired with a six-speed automatic and a choice of front- or all-wheel drive for good, not great, acceleration. With the V-6 engine is installed, the Highlander can be rated to tow up to 5,000 pounds. Hybrid models mate the six with an electronically controlled continuously variable transmission (eCVT) and through-the-road all-wheel drive for a net 280 hp that feels only adequate, thanks to an additional 350 pounds of curb weight. The Highlander's driving dynamics were long overdue for attention, and the front-strut and independent-rear suspension are tuned for less lean and more ride firmness that doesn't lapse into Euro caricature. Electric power steering is now standard, and the all-wheel-drive system can ship around torque from front to rear when the vehicle's yaw sensors detect a more engaged driver. Eighteen-inch and 19-inch wheels will be on the order sheet, for those more adventurous types. At 191.1 inches long, on a 109.8-inch wheelbase, the Highlander's stretched by three inches over the prior version, but none of it comes between the wheels. There's a half-inch more width, in what was already a fairly large vehicle--though one that's still noticeably smaller than competitors like the new Nissan Pathfinder. The Highlander's cabin is much quieter and calmer than before. Thicker acoustic glass damps powertrain noise, and insulation in the floor blots out vibrations, suspension chatter, and tire squawk. A very useful tray now dominates the dashboard, allowing storage of small items like phones or purses--there's even a cord pass-through to connect electronics to the audio and power ports below. 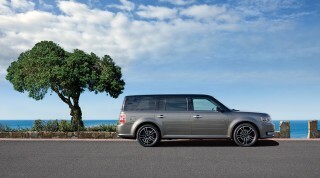 Depending on options, the Highlander can seat up to eight passengers, just like a minivan. The front row on all models features bucket seats separated by a large tambour-covered console. In row two you'll find either a three-person split-bench seat with a recline feature, or a pair of captain's chairs. The previous generation's "Center Stow" seat is gone, replaced by a flip-up cupholder tray, but the second-row bench seat does slide to improve access to the reclining third-row seat, which has 4.3 inches more width for better comfort but a dearth of headroom. Toyota has also carved out more cargo space behind the three-person third-row bench. The 2015 Highlander includes a total of eight airbags as well as a standard rearview camera. Hill-start assist is also included. The IIHS calls it a Top Safety Pick+, and it's earned a five-star overall score in federal testing (albeit not with five stars in all categories). Among the safety options are blind-spot monitors, a lane-departure warning system, and parking sensors. Visibility is better than in the previous generation, thanks to repositioned pillars and bigger rear-quarter windows. All 2015 Toyota Highlanders come with an Entune connectivity kit, and Bluetooth to go with the usual power features and conveniences, all for a base price of just under $30,000 before destination. Higher trim levels package in features like automatic high-beam headlights; heated and ventilated front seats; heated second-row captain's chairs; a JBL audio system; a navigation system; a power tailgate with a programmable lift height; and a rear-seat DVD entertainment system with gaming inputs. Highlander Limited crossovers approach $45,000; the Hybrid Limited peaks near $50,000. The Toyota Highlander's latest remodeling gives it sleek lines, but the better story is inside. In its third iteration, the Highlander has adopted a new look that is clean while also somewhat derivative of vehicles it competes against in the grey area between crossovers and SUVs. 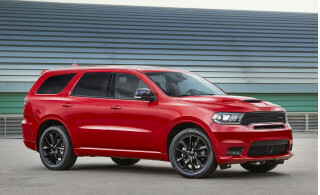 There's see some Dodge Durango and BMW X5 in the side view, plus lots of Mitsubishi in the maw-like grille and in the exaggerated wheel wells and sills. 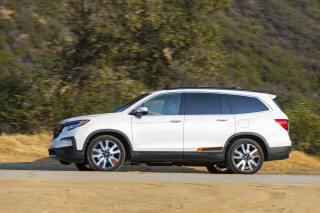 It's a shift toward a 4Runner-like, SUV-ish style that runs exactly opposite to the trend in most other big crossovers--such as the Hyundai Santa Fe, Ford Flex, and Chevrolet Traverse--which are softer looking and resemble cars more than trucks. That switchup works better than it did on the Honda Pilot, and the Highlander's broader shoulders neatly avoid the more cartoonish aspects of the latest 4Runner. The cabin skips that ambiguity--it's all car. There's a pleasing mixture of lines and textures and a large shelf that runs along the dash, opening up the feel of the interior and providing a great place to stash items like cell phones. The lines sweep from driver to passenger, but the focus is clearly on the left side--big gauges and large, easy-to-operate climate-control knobs are a welcome sight. A large touchscreen is included on navigation-equipped models, but doesn't upset the cockpit's visual clarity, since most climate and auxiliary functions still have hard buttons, not virtual on-screen ones. Better handling is a significant improvement over previous editions of the Toyota Highlander. The Highlander's powertrains are carried over from the previous generation. They're smooth and generally efficient, but nothing to get very excited about.We do have a favorite among them, and it isn't the expensive (and heavy) hybridized V-6. The 2.7-liter four-cylinder in base models is the same engine found in Toyota's smaller RAV4. Coupled to a six-speed automatic and offered only with front-wheel drive, the engine generates 185 horsepower and 184 pound-feet of torque. Toyota says only about five percent of buyers will be interested in this base version. We suspect it exists so the company can advertise a lower base price. While the four-cylinder Highlander accelerates reasonably and smoothly, it's configured without many of the features and options found on the V-6 models--features like all-wheel drive. And because the four can be pretty taxed, gas mileage is barely better than with the V-6. 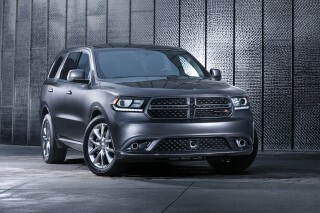 The optional 3.5-liter six, with 270 hp and 248 lb-ft of torque, is also teamed up with a six-speed automatic. It's available either with front- or all-wheel drive. 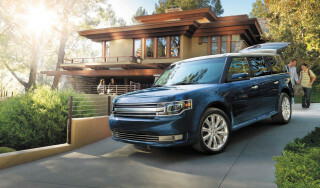 It's not the quickest choice in the class--a turbocharged Ford Flex or Dodge Durango V-8 will blow all four doors off--but the Highlander's V-6 is smooth and quiet with respectable fuel economy. The most expensive Highlander is also our least favorite. The Hybrid model pairs a 231-hp version of the 3.5-liter V-6 an electric motor in front and in back, netting 280 hp. The engine and front motor are liked to an electronically controlled continuously variable transmission (eCVT). All versions have through-the-road all-wheel drive courtesy of the rear motor, which means the hybridized engine/transmission power the front wheels, while only electric power passes to the rears. While it does return high marks in EPA testing, adding 350 pounds of mechanical gear drags on the Hybrid's acceleration, putting it in four-cylinder territory--and we've struggled to hit this powertrain's estimated fuel-economy figures in previous-generation Highlanders. The Highlander also can be rated to tow up to 5,000 pounds, so long as the non-Hybrid V-6 engine is installed; four-cylinder versions are rated at a puny 1,500 pounds. The Highlander's firmer-feeling electric power steering can even be called pleasant. It's as if all the invisible handling screws have been tightened a few complete turns, without ruining its family-wagon fundamentals. While the last edition had copious body roll and uncommunicative steering, Toyota has reworked the Highlander's front-strut and independent-rear suspension for better handling, and much of its substantial body lean was tuned out in the 2014 redesign. Ride quality is no longer cushy, but it's on the correct side of firm for a vehicle in this size class, though we'd avoid the optional 19-inch wheels to keep the feeling of big wheel impacts to a minimum. Better cabin finishes are much appreciated, as are the Highlander's quieter, smoother ride and more comfortable seats. With each generation the Highlander has become nicer, quieter, and calmer, and the changes made in this generation are particularly noticeable. Thick acoustic glass damps powertrain noise, and insulation in the floor blots out vibrations, suspension chatter, and tire squawk. The soft-touch materials on the dash are rich, the woodgrain convincing, the tray formed into the dash a truly useful spot for all kinds of small electronics. It's come a long way from the boxy, utility-drawer 2001 Highlander. 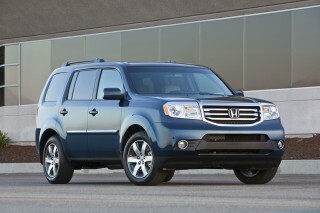 The Highlander can seat up to eight passengers, depending on how it's optioned. In front, the chairs are like many we've sat in recently: better in softer, plusher fabric than in their leather-wrapped cousins, especially when ventilation is factored in. As much as we love the cooling effect, the components take the place of some valuable padding. To get power adjustment on both front chairs, by the way, you'll have to spend for the priciest Limited edition. The Highlander's front buckets are separated by a large tambour-covered console. In row two, you'll find either a three-person split-bench seat with a recline feature, or a pair of captain's chairs. The recline function's a good thing for tall passengers--we had to set the seatback at a slight angle to create headroom under one Highlander's standard power sunroof. We do miss the "Center Stow" seat Toyota offered in the previous Highlander. It had a section in the middle bench seat that tucked away into the console, creating a pass-through to the third row. Now there's a flip-up cupholder tray to fill the space left behind between captain's chairs on models so equipped. The new seat's less functional in that way, but it does slide on a track for good adjustability. It can either nibble away its own leg room or increase it, taking up space from the reclining third-row seat, which was made wider for 2014. There's still not much headroom back there, and nowhere near as much as in a minivan, rendering it a place for smaller offspring and few else, although two adults can squeeze in for short trips. The latest Highlander offers more space behind the third row for cargo. The three-person bench row folds flat and out of the way so the crossover can be loaded up: there's up to 13.8 cubic feet behind the third row, 42.3 behind the second row, and 83.7 behind the front two seats--enough for a set of bunk beds or a trip to the big-box store. A rearview camera is standard on the new Highlander, and it's earned the IIHS' Top Safety Pick+ award. The 2015 Highlander includes a total of eight airbags, as well as a standard rearview camera. Hill-start assist is also included. Visibility is better in the latest Highlander, thanks to repositioned pillars and bigger rear-quarter windows. Among the advanced safety options are blind-spot monitors, a lane-departure warning system, and parking sensors. A Driver Technology Package bundles a pre-collision warning system and adaptive cruise control. In National Highway Traffic Safety Administration (NHTSA) testing, the Highlander earned a five-star overall score, with four stars for frontal crash and rollover testing and five stars in side-impact testing. The available forward-collision warning system is the feature that puts the Highlander into the Insurance Institute for Highway Safety's highest award class. The IIHS demands those systems in order to name a vehicle to its Top Safety Pick+ list--which the Highlander makes, thanks also to an 'acceptable' score on the IIHS' new small-overlap crash test. The Highlander achieved top 'good' scores on the other four categories of IIHS crash testing. 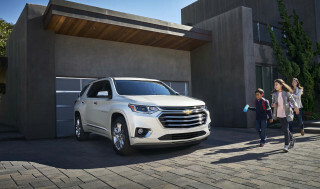 Top Hybrid models glance off the $50,000 mark; base models are a better deal, with standard Bluetooth and smartphone connectivity. The 2015 Toyota Highlander includes a healthy list of features at all trim levels, even in the price-leading four-cylinder models. 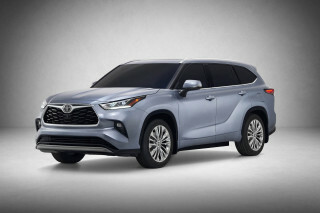 The base LE starts around $30,000 and includes a premium cloth interior, while all Highlander models come with some version of Toyota's Entune smartphone connectivity kit, Bluetooth, a USB port, and a rearview camera. LE Highlanders ride on 18-inch wheels, and feature split-folding second- and third-row seats. There's a Plus package available for the LE, which adds three-zone climate control, a power tailgate with flip-up glass, satellite radio, and a power driver's seat. Highlander XLE models come with pushbutton start; leather upholstery; heated front seats; a sunroof; an eight-inch touch screen with navigation; Homelink garage door opener; and 5,000 pounds of towing capacity thanks to the standard V-6 engine. The second-row bench seat can be swapped for captain's chairs. A Blu-Ray DVD entertainment system is also an option. The Limited is the only trim level offered with the Hybrid, although it is also available with the standard V-6. Limited Highlanders are equipped with 19-inch wheels; rear parking sensors, a blind-spot monitoring system; second-row captain's chairs; heated and ventilated front seats; a power front passenger seat; and premium audio. A panoramic glass roof is an available option. Filled with all of the equipment, gas-only Highlanders are priced right around $45,000, while Hybrids close in on the $50,000 mark. A feature called Driver Easy Speak uses a microphone to pipe front-seat voices to back-seat occupants in Highlander XLE and Limited trims--making a shout at third-row kids a little easier, if no less necessary. We haven't come close to the Hybrid's EPA ratings, but gas mileage on V-6 versions is acceptable for such a big vehicle. The Highlander sets no fuel-economy records, but it's generally in line with other seven-passenger crossover SUVs. The Hybrid model is the most planet-conscious of the Highlanders, at least according to its EPA ratings of 27 mpg city and 28 mpg highway. Those numbers are nearly identical to the prior Highlander Hybrid's, and we've had trouble reaching those figures in real-world driving. The least expensive Highlander, the four-cylinder model with front-wheel drive, doesn't fare much better than a Ford Flex with a V-6, though, because the slightly underpowered engine has to work hard to move the Highlander's significant mass. The base Highlander is rated at 20 mpg city, 25 mpg highway. Highlander V-6s come with either front- or all-wheel drive. 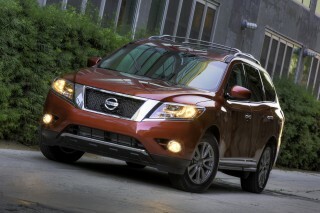 The front-drive model is rated by the EPA at 19 mpg in the city, 25 mpg highway. 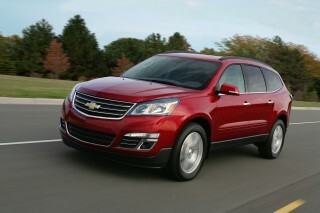 The V-6 all-wheel-drive version is rated at 18 mpg city, 24 mpg highway. Very nice vehicle. It has everything that I needed in an SUV. My only complaint, and it's very minor, is having to reach a little for the touch screen. Likes; roomy when all seats are up in place, nice styling, comfortable ride; great storage spaces; rear window can be opened while tail gate is closed. Dislikes; Terrible gas mileage, average 16.2 mpg;... Likes; roomy when all seats are up in place, nice styling, comfortable ride; great storage spaces; rear window can be opened while tail gate is closed. Dislikes; Terrible gas mileage, average 16.2 mpg; Electric assisted steering is scary, front end feels like it is all over the road; Terrible voice activated info system, I prefer using my portable Garmin GPS; Need to synch IPhone everytime I enter the vehicle. Well thought out Car the electronics are really nice and updated. Great quality, great reliability. Love the technical features of touch screen, phone interface, nav system. Very good vehicle. Would consider buying another in the future. Beautiful vehicule had it 3 months and great performance had the rav4 and fuel economy is practically the same.I just love my new highlander.